Free DeliveryImperial Westminster Cloakroom BasinFrom £224.00 inc.VATRRP: £280.00 (Save 20%)Only 535mm wide - designed for smaller bathrooms, with a choice of 1, 2 or 3 tap holes. 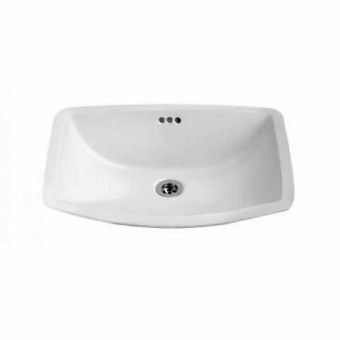 Free DeliveryImperial Radcliffe Bathroom BasinsFrom £316.00 inc.VATRRP: £395.00 (Save 20%)Flat edged basin, 2 sizes: 600 or 685mm wide, with options for pedestals. 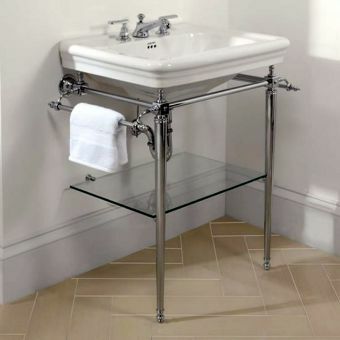 Free DeliveryImperial Adare Washstand with Westminster BasinFrom £1584.00 inc.VATRRP: £1980.00 (Save 20%)Beautiful classic styling, this sturdy solid metal washstand comes in polished chrome, nickel or gold. 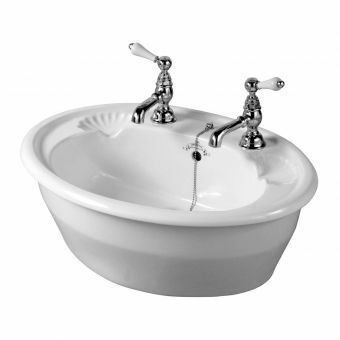 Free DeliveryImperial Oxford Large Basin From £348.00 inc.VATRRP: £435.00 (Save 20%)Traditional Victorian style basin with splash back and side surrounds, 655mm wide, with 1, 2 or 3 tap hole options. 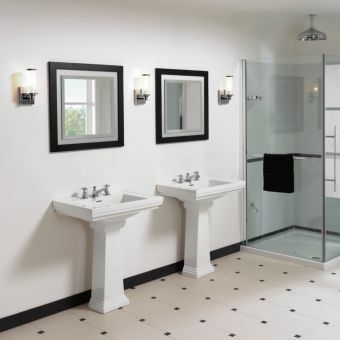 Whether you are designing a new bathroom or updating an existing one, you will find the timeless elegance of the Imperial style-ranges have options to suit both your individual tastes and the functionality you need. Some Imperial basins offer up-to-the-minute contemporary designs created in British made chinaware. 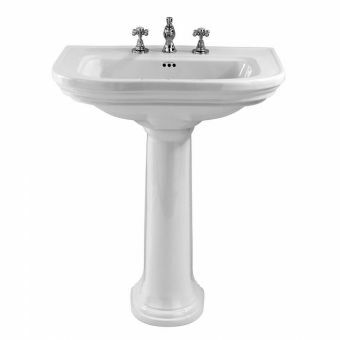 However, some of the Imperial basins are influenced by the classic elegance of the Victorian era. Interior design at the turn of the century was characterised by two things – being decorative and at the same time orderly; everything should be in the right place, but with flourish and appeal to make it a thing of beauty. Imperial has captured the essence of this Victorian ethos in all their ranges, ensuring they function to a consistently high standard, without compromising on quality or aesthetic appeal. Performance and neatness are both boxed off, in a very attractive package. We have also compiled the guide below, to give you things to think about and a way of pinning down what suits you best. 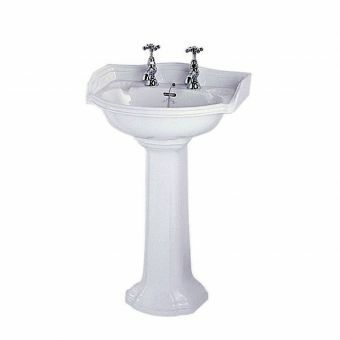 That way, your Imperial basin really would be a perfect choice. 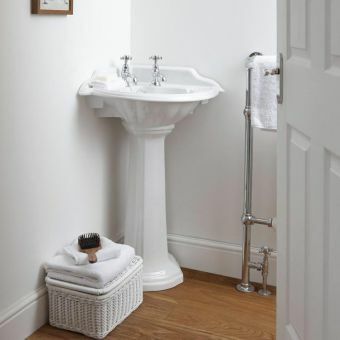 There is information on this page to help you to pick the right basin from this creative and classical range, to exactly match your needs. But what are the different style options, in a nutshell? Created in pure white flawless ceramic, this style provides confident angular lines. 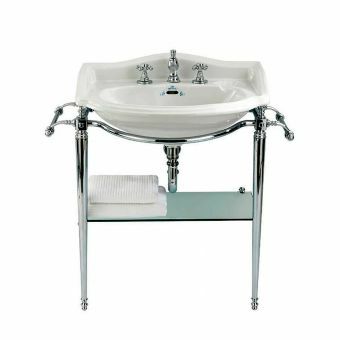 These luxurious Westminster basins sit perfectly on console tables, pedestals or a choice of cabinets styles. The highly versatile Westminster range even offers a “bowl” shaped basin, that looks stunning when top mounted on a vanity unit. 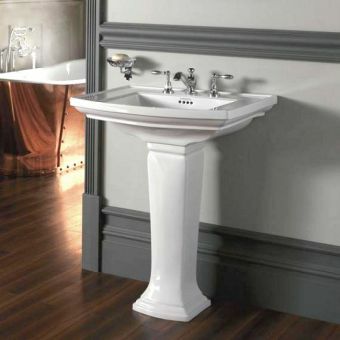 Offers luxurious, pristine white gloss basins in a period style, complete with an elegant splashback lip. This highly versatile range comes in various sizes and forms, but all with the distinctive Oxford curves and flowing lines. 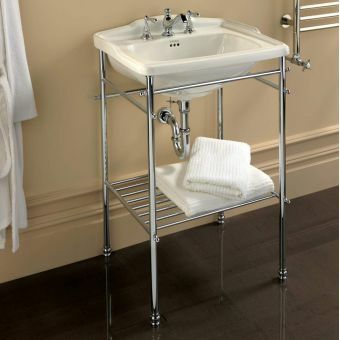 This makes it adaptable to whatever style of bathroom furniture you require, including Imperial’s highly complementary stand and cabinet designs. 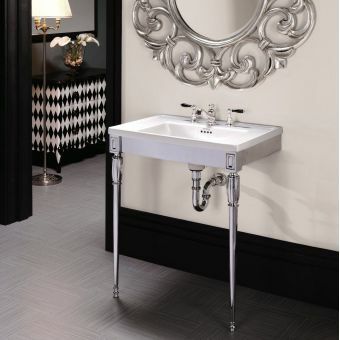 With all the exuberant and decorative charm of the 1920’s, this range has squared form and assertive geometric styling. Astoria Deco is available in pristine white or dramatic black and offers pedestals, stands and vanity units to enhance its stunning appearance. 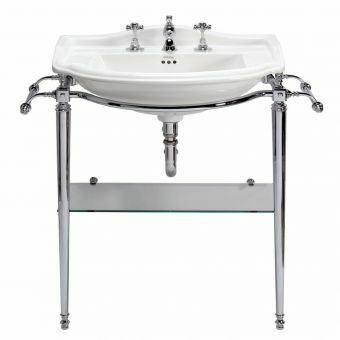 This includes the option of a glass-legged console, which perfectly echoes the “jazz age” pizazz of the basin itself. 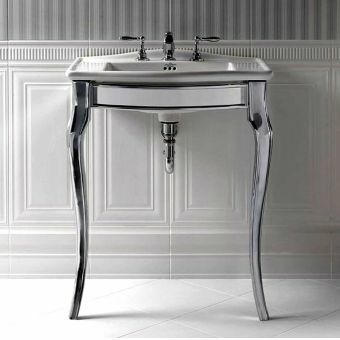 These basins come in pure white or glossy black, styled with classical elegance and contoured lines. Various sizes and shapes can fit the space you have available, and a range of stands and mountings all made to Imperial’s high standards. You also have the option of matching Drift’s integrated basin splashback to bevelled or smooth lines around the basin and a grooved soap area. Distinctive rounded edges, and styling that echoes the flow of the basin’s form. This curved, period style range can fit into your personal choice of complementary furniture, including chrome or glass legged consoles and cabinets made with exquisite carpentry to make it a true showpiece. Confident, elegant and classical, this range offers you an incredible choice of sizes and forms to fit your space and preferences. 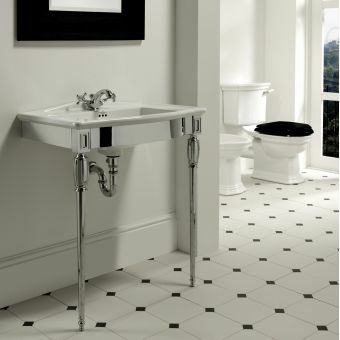 The Radcliffe range has flowing lines and a timeless elegance, and a style that easily carries into smaller cloakroom sinks of large and double basins. Its classical styling means that it also fits your preference for mountings, stands and handmade cabinets from Imperial. A range for anyone who appreciates strong and bold statements in interior design, Etoile is available in flawless white or high impact black ceramics. Despite its highly contemporary feel, you will also see Victorian opulence in Etoile’s styling. This means it adapts itself to mountings, stands and cabinets in both modern and traditional materials and forms. This white gleaming ceramic range offers a highly distinctive bow-fronted design and is full of character while retailing simple elegance. Available with various options, Firenze works well when mounted on both metal or hand-oiled wood stands and cabinets, such as the stunning handcrafted natural oak finishes. The first thing you will need is time, as this is not an off the shelf/one size fits all product. 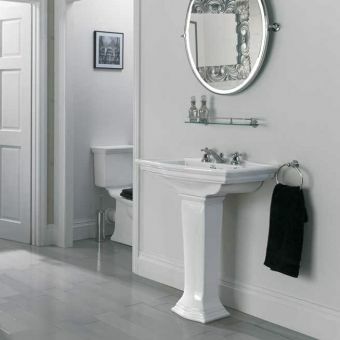 Imperial bathroom basins are British made to a high standard, with great attention to detail. Hand crafted (not mass produced) to offer you opportunities to create a bathroom that is as individual as you are. So, how can you see for yourself the quality and craftsmanship? Take a look at the basin and you will see a flawless, smooth ceramic, with a brilliant finish created by numerous layers of Imperial’s specialist glaze. You will see that the Imperial style-ranges offer you a combination of other materials too. This includes pristine metalwork and perfect carpentry to provide the very best in British craftsmanship. Every basin in the extensive style-ranges from Imperial can be fitted with complementary and beautiful taps in your chosen design. They also offer corresponding waste and trap kits, to create a seamless, problem-free water disposal that will stand the test of time. Many can be ordered with either one, two or even three tap holes in them. The disposal outlet can be fitted with all forms of the waste system, and Imperial basins also come with overflow holes that match the design of the item. 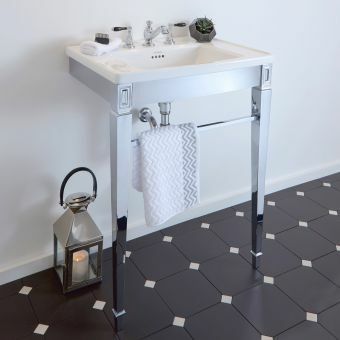 The Imperial ranges are very adaptable to your own tastes and preferences, but possibly more importantly to the space available in your bathroom. There is something in the Imperial range for you, whatever your preferences or needs are. If you want a wide basin or a shallow one, Imperial can oblige. If you are creating a double sink there are options. 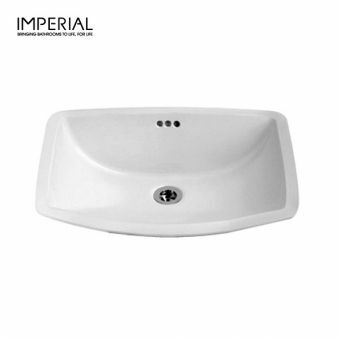 Imperial can even meet your needs if you are restricted on space and need a compact or corner sink. You will be able to browse through the various style options on this page. It is important to keep in mind that many of the Imperial products can be crafted in different sizes, to put you firmly in control. So, by all means, when you are choosing from the beautiful basins crafted by Imperial, have your preferred dimensions to hand. 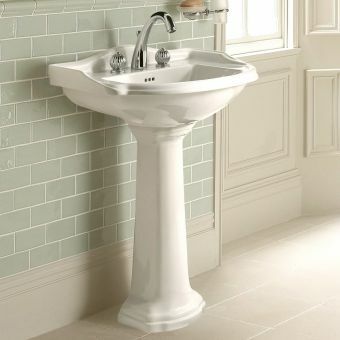 However, feel free to check with us if you need confirmation that your chosen basin is available in your ideal size. 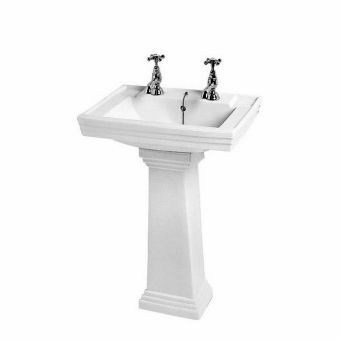 Give some thought to the two main elements of your bathroom sink, the actual basin and the structure around it. What sort of shape and level of decoration most appeals to you? Do you want something with a simplistic elegance or a luxurious and decorative piece that will be a focal point of your new bathroom? The Imperial basins can be square, oval or various other geometrical shapes. Some are low-level surfaces, while others are handcrafted to include an integrated splash back at the rear. Others use a series of gradients in the ceramics for decorative effect. Some Imperial basins are crafted to include a grooved soap holder on the surface, another example of how practical functioning has been a consideration as well as stylishness. Attention to detail is a feature whichever one of the Imperial style-ranges appeals to you. The options in this handcrafted range are endless, so having your own personal preferences worked out beforehand will help in making a selection. However, browsing through the different Imperial ranges can also provide inspiration if you are not sure what you want. There are probably combinations and styles created by Imperial that you never dreamed possible. One of the most common bathroom basins is one that slots into an existing structure – with a cabinet or countertop around it. This could be a top-mounted basin, sitting snuggly on top of the bathroom unit, or an under-mounted basin which means it is encased within the carpentry or countertop. There is also the option of creating a semi-recessed sink. This is a basin sitting in a bathroom cabinet or unit, that juts out to a degree. With all those types of basin, the pipework would be enclosed with the surrounding unit. Imperial handcrafts items to ensure they can be matched and fitted into existing bathroom carpentry or used as a starting point to create an enclosed sink unit. 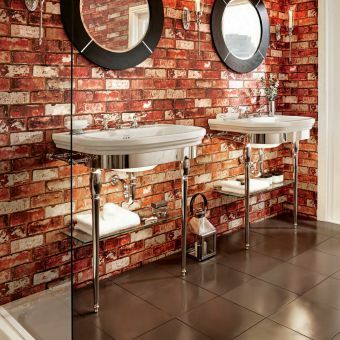 This is particularly appreciated in ensuite bathrooms or homes with large families. In each of these cases, the storage beneath the Imperial basin, or the counter surface around it, can be invaluable. 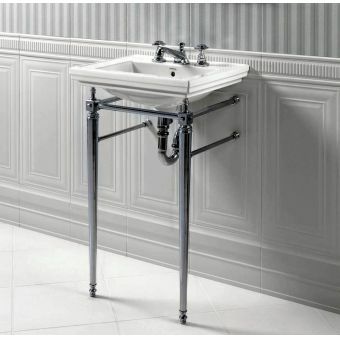 Wall-mounted sinks have Imperial basins fixed to the wall without pedestals beneath. 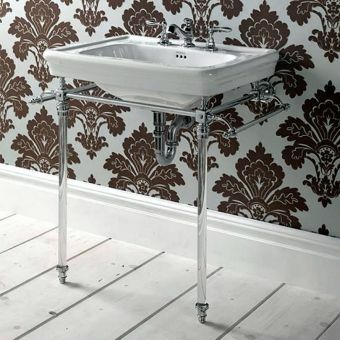 For small bathrooms or to create a contemporary style bathroom, having the basin mounted on the wall is a great option. The pipework can be recessed into the wall and even left exposed as an additional design feature. The craftsmanship of the Imperial ranges lends itself to making every part of the sink a “showpiece”. 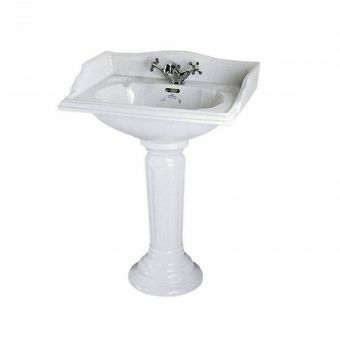 Pedestal basins are just what you would image, basins supported by pillars. 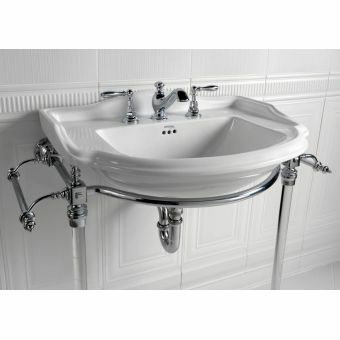 This is the most common style of bathroom sink that has stood the test of time for centuries in Britain. 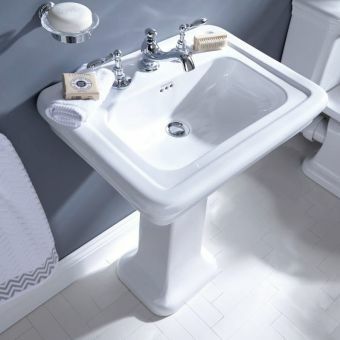 That’s not to say that the design of Imperial pedestal sinks has stood still, as the options include both echoes of Victorian splendour and fabulously contemporary styles. 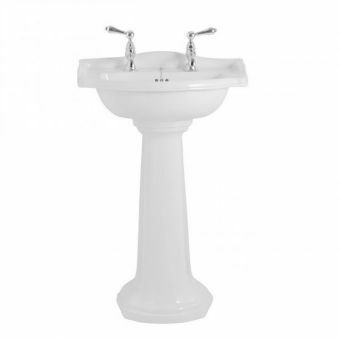 There are pedestal sinks available in each of the Imperial style-ranges. They all have something in common; adaptability. Browse through the style-ranges and find a product you like, then you can request it in the dimensions that fit your bathroom space. 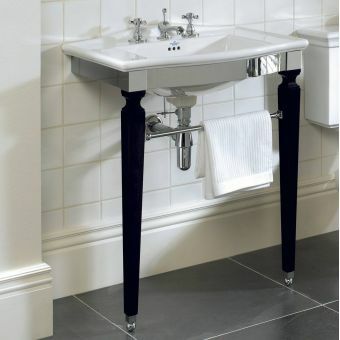 A pedestal basin using British made ceramics from Imperial is the ideal way to conceal your pipework. 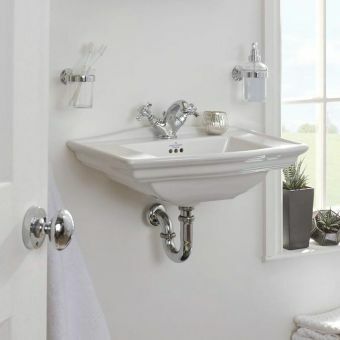 If your bathroom basin has to be plumbed in from below, then Imperial basins provide the solution but still provide you with lots of control over the style and look of your bathroom basin. For that extra flourish or style statement for your pedestal basin from Imperial, keep an eye out for the items that include beautiful pink or blue floral arrangements on their pillar; gorgeous. 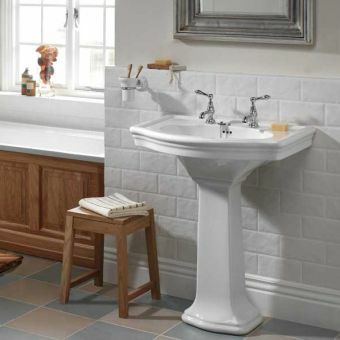 The traditional trend is to have a pedestal sink supported by a ceramic structure to match the basin. However, the Imperial style-ranges also offer you a highly personalised option to support your basin with a metal structure in a choice of styles. 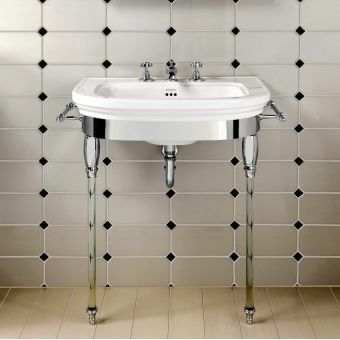 These chrome stands from Imperial can really set your bathroom apart, many offering a design reminiscent of continental elegance. 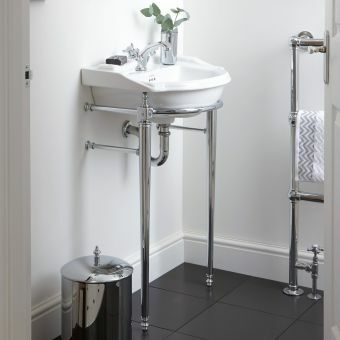 Chrome stands from Imperial also serve a highly practical purpose. They can be a great place to store and air bathroom towels. 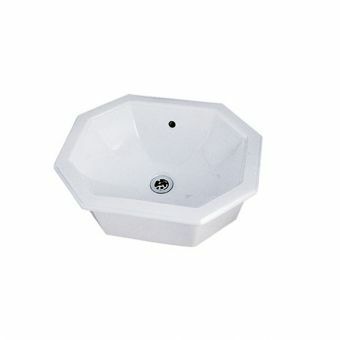 Look through the ranges and you will find eye-catching but high performing basins to fit the criteria for this. When you have a downstairs toilet, an ensuite or a bathroom with very limited space, then the Imperial style-ranges can make sure you don’t have to compromise on handcrafted loveliness either. This could include for example the compact but highly functional cloakroom basin, in a variety of shapes and styles. 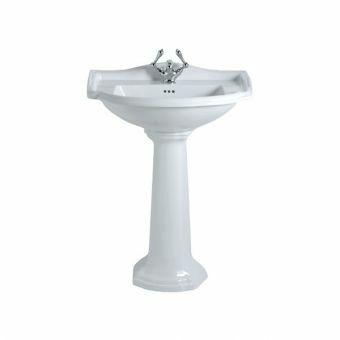 These can have one or two tap holes and a half pedestal to make them even more economical on space. Or you may find a corner unit fits best into the space available, but you still want the elegance and craftsmanship of an Imperial basin with a half or semi-pedestal beneath. 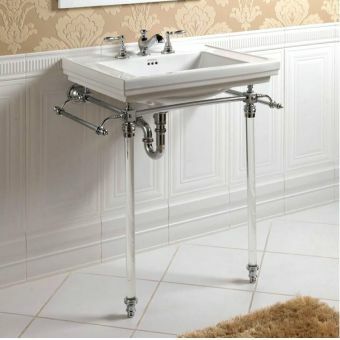 Clearly, your options and choices are extensive, but all Imperial basins offer the guarantee of durability and quality. If you are going to all the trouble to lovingly design your perfect bathroom, or upgrade an existing one, then will you want the bathroom furniture and fittings to stand the test of time. 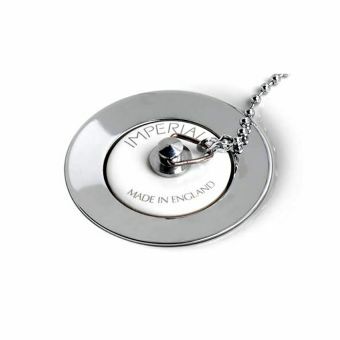 Thanks to British craftsmanship harnessed to modern engineering techniques, every item from Imperial can handle immeasurable amounts of water and soap in their lifespan. 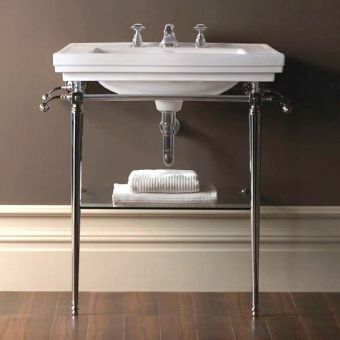 Yet Imperial basins - and the fitting kits and support structures they come with – will remain never less than stunning. Such is the faith that this handcrafted range, which is as durable as you can get, Imperial ceramics carry a lifetime guarantee. Which means that no matter what style, shape or size you choose from the extensive range, your wise decision will serve you for many years to come.